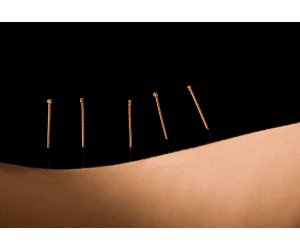 Dry Needling is an all-natural therapeutic modality that utilizes very thin filament acupuncture needles and is used by healthcare practitioners for the treatment of pain and neuromusculoskeletal conditions. We at One Accord Physical Therapy practice Dynamic Integrative Needling (DIN), which was developed in the UK and is the most comprehensive needling approach available in the United States. Within the DIN system our experts are able to match the appropriate needling technique to the specific need of the patient based on extensive clinical reasoning and experience. Being experts in soft-tissue healing, injury recovery, and pain management, the specialist at One Accord Physical Therapy utilize an evidence informed approach to needling that helps patients GET OUT OF PAIN, OFF MEDICATION and BACK TO ACITIVY. Dry needling is rarely used as a stand-alonetreatment, and is usually used within a multi-modal treatment strategy that may include patient education, manual therapy, spinal manipulation, and therapeutic exercise. Headaches: Migraine, Tension Type & Cervicogenic. Whiplash & Neck Pain from arthritic changes or muscle strains. TMJ/TMD related jaw, headaches, and facial pain. Knee pain from osteoarthritis, trauma or sports injuries. Low back pain, hip pain, or bursitis. Shoulder pain: rotator cuff tears, impingement, frozen shoulder, tendonitis and bursitis. Lateral or medial epicondylitis – Tennis/golfers elbow. Hand & Wrist conditions including carpal tunnel syndrome, DeQuervain’s syndrome and arthritis related pain. Sciatica, radiculopathy and/or referred pain from cervical or lumbar region. Post-surgical pain or scar tissue pain. Athletic & sports related injuries, as well as, recovery. Dr. Sean Flannagan, the founder of One Accord Physical Therapy, is an accredited tutor for the DIN System and teaches courses across the United States and internationally. All of the staff at One Accord Physical Therapy have received advanced tutoring and mentoring in advanced needling approaches not traditionally available in most physical therapy settings. Dry needling and acupuncture share many common characteristics and look very similar because they use the same body and same needle. The difference lies in the where and why needles are inserted into the body. Comparing dry needling to acupuncture is like comparing apples to oranges because the fundamental training and clinical reasoning of acupuncturist and healthcare practitioners are vastly different. Primarily, the practice of acupuncture looks at patients through the lens of Traditional Chinese Medicine (TCM) and concept of Qi (energy) flow throughout the body on invisible pathways called meridians. The practice of dry needling is performed within the framework of a Western medical diagnosis and is grounded in clinical neurophysiology based on functional MRI studies and a strong scientific understanding of human anatomy and pain neurophysiology. If you want to know if Dynamic Integrative Needling could be beneficial for your condition schedule a free phone consultation or 20 minute discovery session. Our experts at One Accord Physical Therapy are looking forward to serving you.